The all-new K-Force brakeset combines muscular power with truly fine control. Optimised for today’s wide rims, all excess has been trimmed from our most advanced, dual-pivot design yet. The sculpted, low-profile alloy arms have been upgraded to box-section. SL-K calipers are designed to accommodate the new generation of wider rims. 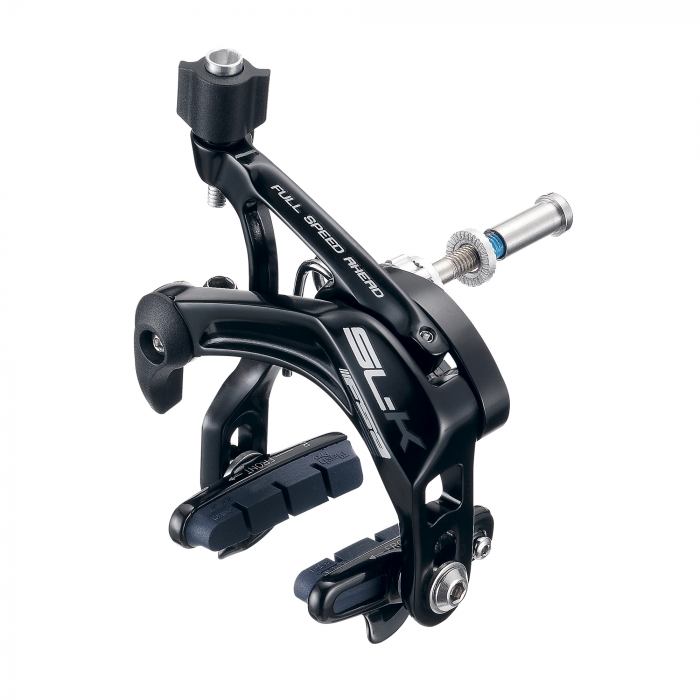 The brake arms have an I-beam structure, keeping them stiff for optimum brake performance but at low weight. It is a dual pivot design, with the pivots equipped with thrust bearings for smooth operation. 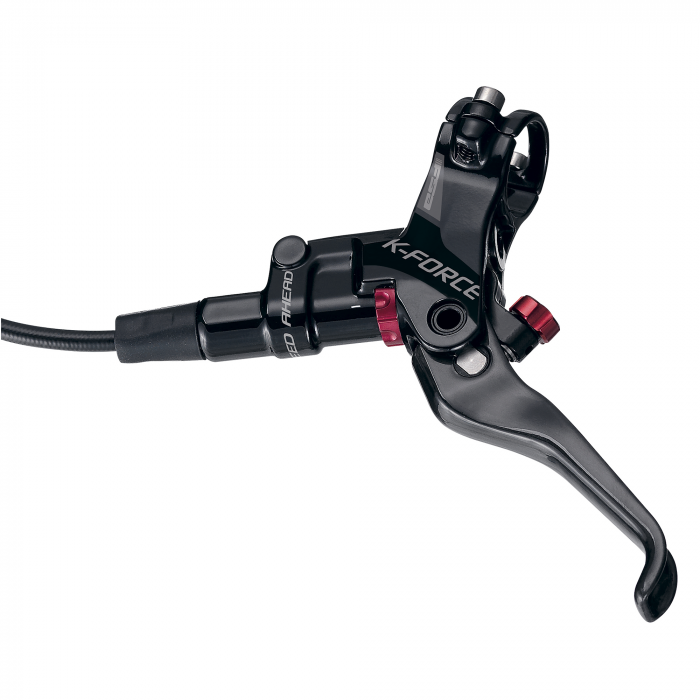 The Gossamer Pro brake design sees gain in both stiffness and wide-rim capacity. Its lightweight dual-pivot layout turns on quality thrust bearings while minimizing friction and boosting modulation. Stainless main pivot bolts provide ultimate strength while attachment hardware for boasts longevity. Engineered for cooling, noise-reduction, precision feedback, and competitive weight. Utilizing more material than the K-Force rotor, the stainless steel Afterburner rotor stays cooler on long descents.